Team NextBillion is on the ground in San Francisco where we’re reporting on SOCAP16, a conference “at the intersection of money and meaning” in a city at the corner of gorgeous and vibrant. We’ll be updating this post throughout the day as we conduct Facebook Live interviews, snag interesting Tweets, attend sessions and meet some of the many “doers” in attendance who are seeking sustainable solutions to pressing global problems. Keep checking back with us; you never know who we’ll run into! 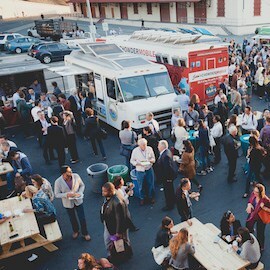 For the past few years, impact measurement has hovered somewhat in the background at SOCAP – never absent, but not exactly center stage. Not this year. The Rockefeller Foundation, ORS Impact and Mission Hub are coordinating five panel sessions over the course of the conference that place social metrics at the forefront. The discussions around monitoring and evaluation are very much of the version 2.0 persuasion, i.e. where social impact measurement is today, but also where it’s heading – and what will it take to get there. The first of these sessions, “Evolving Impact Measurement Over the Next Decade,” took place today and signaled a changing mindset around not merely the importance of collecting data, but harnessing it for better decision-making in something closer to real time. It also revealed some of the underlying (and healthy) tensions that still exist at many levels when it comes to applying tools and frameworks. “We must take impact as seriously as we take financial results,” said Kelly McCarthy, senior manager, IRIS and Impact Measurement & Management at the Global Impact Investing Network. That’s the direction the industry is headed, she said. But part of the reason impact measurement isn’t on the same footing as financial outcomes is the fact that impact is still relegated to the status of “social bean-counting.” Even among the informed, sympathetic crowd at SOCAP, that’s how one investor today referred to the practice, as McCarthy noted. “(Many are) still thinking of it as measurement … instead of managing it toward improving the way we deliver impact,” she said. But at the same time, mindsets are shifting toward value creation. Jim Fruchterman, founder and CEO at Benetech, said he sees social enterprises today behaving much like tech firms did 10 or 15 years ago. For those companies, data is perceived as a strategic asset and not a drag on operations, as some impact investors and even social enterprises still perceive it. If “we can make the tech sing and dance,” he said, it can provide insights for not only the enterprise or the investor, but for the population being served. Using “data for action” is a theme Fruchterman introduced in a recent Stanford Social Innovation Review article. The degree to which impact outcomes for a particular enterprise or fund can (or should) be distilled to a grade rating or a standard that investors can easily wrap their heads around, was a subject that generated some debate. Sasha Dichter, chief innovation officer at Acumen, pointed out the advantage that Leadership in Energy and Environmental Design (LEED) ratings have delivered when it comes to evaluating the eco-impact of things like office buildings and manufacturing plants. Those ratings have helped focus investors as they decide how to allocate investments in green design. The same level of depth is not available when it comes to assessing impact, and perhaps it should be – especially considering the tidal wave of social investing. “If you have a certain LEED certification you have access to capital, if you have a certain GIIRS rating you don’t,” he said. Other panelists bristled a bit at the idea of simplifying metrics too narrowly. 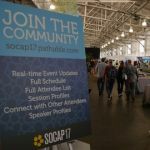 In any case, the discussions that follow here at SOCAP will explore the topic from the perspective of enterprises, evaluators, investors and other professionals aligned with social impact evaluation. Building a new coalition around impact assessment is clearly a priority for the Rockefeller Foundation. And considering the foundation’s role in birthing the sector of impact investing a decade ago, it will be interesting to see where it goes from here. SOCAP’s opening plenary today mixed traditional group discussions and individual Ted talk-style presentations – if you missed them, you can view the videos (and plenty of others) on SOCAP’s YouTube page. Some of the ideas under discussion were familiar, like the need for greater scale – the challenge of which was perhaps best articulated by Nancy Pfund of DBL Partners: “We are disrupting some age-old industries, and some haven’t innovated for centuries.” Maya Chorengel of Elevar Equity cited a compelling reason why scale is needed: Lots of institutional investors “can’t even talk to you” if your fund isn’t over $250 million. But Chorengel seemed optimistic about the likelihood of this scale. Asked if a $5 billion impact fund could emerge in the coming years, she said yes. But the plenary also featured a novel, temptingly simple idea from Matthew Weatherley-White of the CAPROCK Group: What if funds had to “opt out” of ESG investing strategies, rather than opting in, as they currently do? Citing the example of dramatic spikes in organ donation rates in countries that have shifted from an opt-in to opt-out system, Weatherley-White wondered if a solution this simple could be just what the sector needs to become the mainstream, default approach to investing, rather than just a (steadily growing) niche. We discussed the ramifications of this idea – and whether it’s a potential movement or just a thought experiment – in our Facebook Live interview below. It’s been said before, and SOCAP panelists said it again: Silicon Valley has a “problem problem”: too many startups solving relatively trivial first-world problems while ignoring the developing world’s more pressing needs. But as panelists in “The Next New Thing in Silicon Valley? Global Development” discussed, that may be changing – not least of which because many venture capitalists and tech entrepreneurs are starting to view the world’s poorest 4.5 billion people as a promising market that’s essential to their future growth. As Sheel Tyle of New Enterprise Associates put it, Nigeria is on track to pass China as the world’s second largest country, after India, in just a few decades. “These countries are too big to ignore,” he said, noting that many companies starting in emerging economies actually have better market opportunities than those operating in our own backyard. Citing Mark Zuckerberg’s recent “reverse pilgrimage” to Nigeria as both a sign of the times and a factor that could spur greater interest from his tech peers, the panelists also discussed the role of “FOMO” – fear of missing out – on Silicon Valley’s growing embrace of these markets. But ImpactAlpha’s David Bank raised an important question: Will this new wave of investor interest in emerging countries reach down market, or will it mainly benefit their elites? There was plenty of optimism in a fast-paced and stimulating “Discussion on the State of the Field,” featuring ImpactAssets’ Fran Seegull, Duke’s Cathy Clark, and Arabella Advisors’ Julia Sze. But each positive they discussed seemed, at least in part, to be balanced by a negative. As Clark put it, impact investing “is accelerating faster and faster each year.” But Seegull pointed out that the industry needs to guard against “impact dilution” as it moves toward the mainstream. What’s more, she said, there’s a gap between “razzle and reality” in impact investing, since it takes time to deploy all the new capital that’s flowing into the sector. While Sze spoke of a slate of intriguing network groups that have emerged to match capital with entrepreneurs seeking investment, Clark pointed out that disconnects between these entrepreneurs and investors make the process harder than it needs to be. To change this, she said entrepreneurs will need to learn to work better with impact investors – especially if they’re coming from the grant community. And while Seegull spoke of the growing options that have emerged for U.S. retail investors seeking impact, she added that regulations make it hard to spread these tools to all 50 states. There was some brief disagreement about whether impact investing as a sector should seek to educate and protect investors from the risks of emerging approaches like equity crowdfunding, or encourage them to utilize these new tools in spite of the risks. Finally, while Sze spoke of the huge increase in investor interest in women-run businesses, Seegull pointed out that the vast majority of these businesses are sole proprietorships, often home-run businesses, that may not be good targets for investment. In short, the panel reflected what you might expect from a sector experiencing growing pains – both excitement and frustration, with excitement clearly coming out on top. Shikha Uberoi joined us, fresh after her panel “Mainstreaming Social Change,” to discuss the need for social business and investing to reach a broader audience. Uberoi has experience in that regard: She is the creator and executive producer of “The Real Deal,” the world’s first reality show focused on impact investing and social enterprise, which finished a successful first season earlier this year. (You can view NextBillion’s coverage of the program here.) “The Real Deal” was renewed for a second season, and is in the process of seeking global expansion – one of several topics we discussed. Addressing the global refugee crisis could be the next frontier in impact investing. “Finance as an Instrument of Hope: Investing in Refugees,” was an important panel today from SOCAP. As aid agencies grow ever stretched and the situation for many displaced people becomes even more dire, the time has come for new thinking. One panelist, Christine Mahoney, an assistant professor of politics and director of Social Entrepreneurship at the University of Virginia, has conducted extensive research in seven conflict zones and is starting an impact investing fund designed to address refugees’ needs, while enabling their talents.